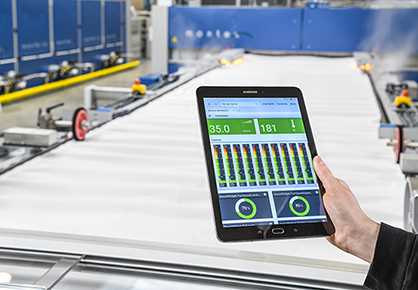 The potential of Industry 4.0, in combination with the drive to reduce waste and minimise raw materials usage, has led to some significant new developments by Monforts. At this year’s ITMA Asia + CITME, in Hall 6 at booth H6/D05, visitors can learn about the company’s latest Qualitex 800 control system, which along with the Web-UI app, allows the remote visualisation of Monforts technologies via smart phones and tablet devices. Resource efficiency is being addressed via the latest technologies such as the company’s Eco Line for denim, based on two key technology advances – the Eco Applicator for minimum application of the selected finishing chemicals and the ThermoStretch. As an alternative to conventional padding, especially for wet-in-wet solutions, the Monforts Eco Applicator can significantly reduce the amount of finishing chemicals required prior to the stretching and skewing of the denim fabric. The Monforts ThermoStretch unit meanwhile carries out the skewing (weft straightening), stretching and drying in a continuous process. Monforts is also the only manufacturer which is able to offer completely integrated coating lines from a single source and at ITMA Asia + CITME 2018, the company’s specialists will be on hand to explain how its latest coating heads are being tailored to drying technology for maximum benefits. For an unprecedented range of options, Monforts now offers multi-functional coating heads for both its industrial texCoat and Allround coating units. Module options include those for screen printing, magnetic coating and knife coating, either integrated into new lines or retrofitted into existing installations. 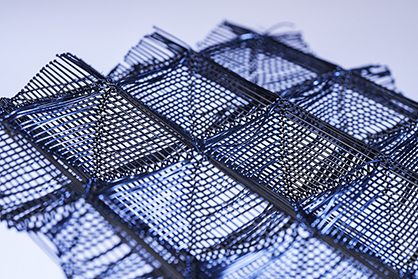 “Our system has the shortest fabric path from the coating unit into the stenter and all of these options are available in wider widths,” says the company’s Head of Technical Textiles, Jürgen Hanel.